13 What did we learn? 1. 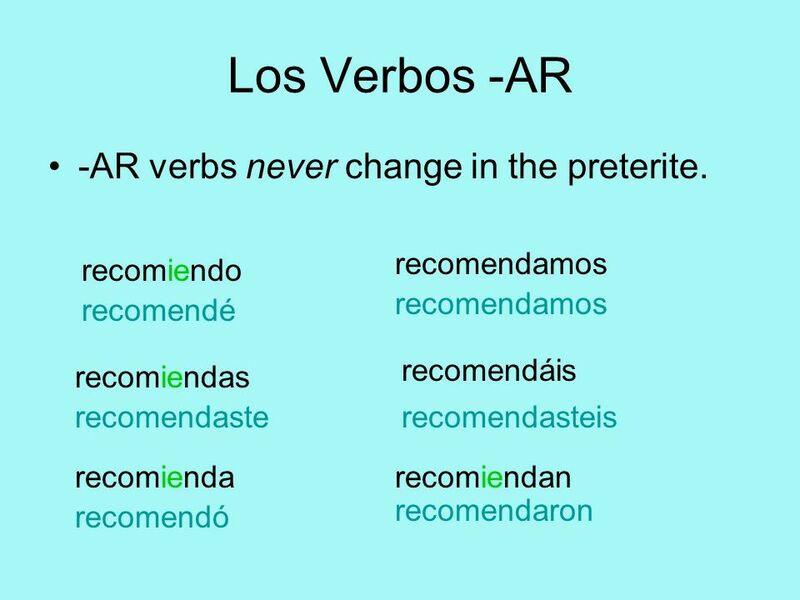 -AR and –ER vebs never change in the preterite. 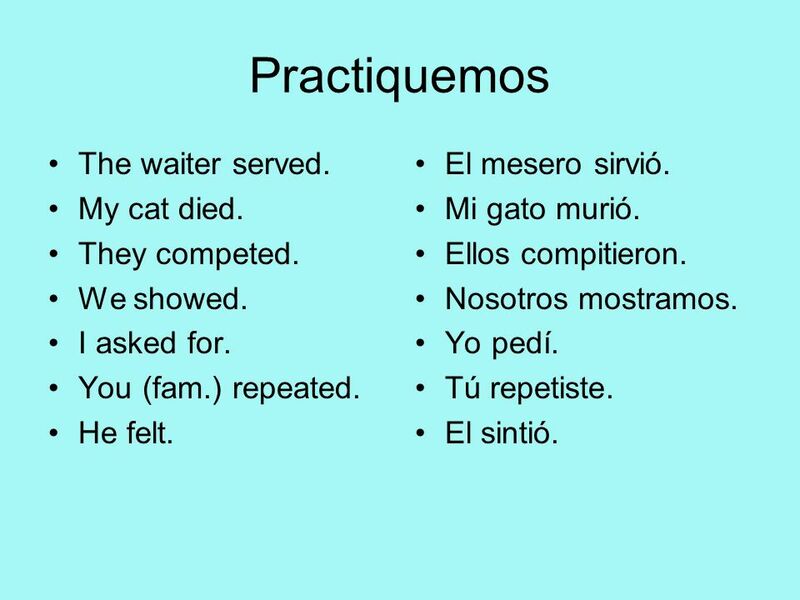 14 Practiquemos The waiter served. My cat died. They competed. We showed. I asked for. You (fam.) repeated. He felt. El mesero sirvió. Mi gato murió. 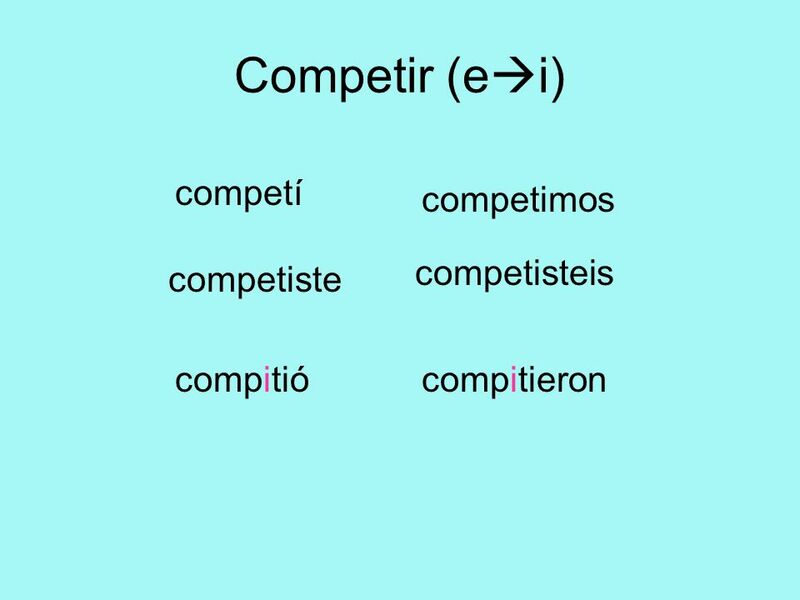 Ellos compitieron. Nosotros mostramos. Yo pedí. 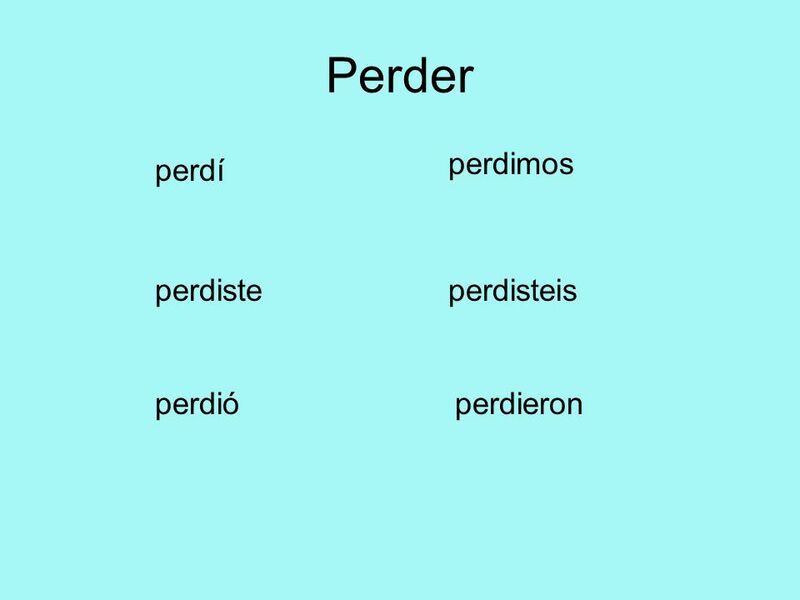 Tú repetiste. El sintió. 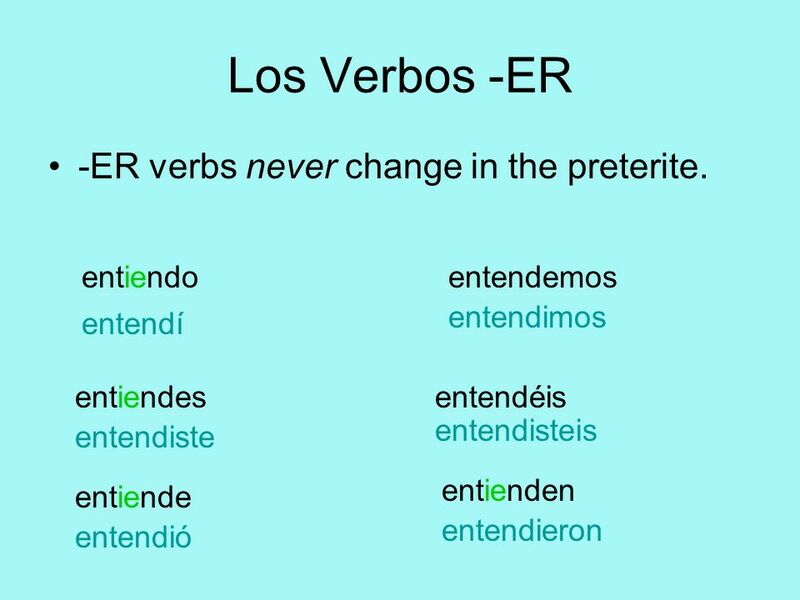 Descargar ppt "Los verbos “stem-changers” en el pretérito"
5A – El pretérito The preterite review. 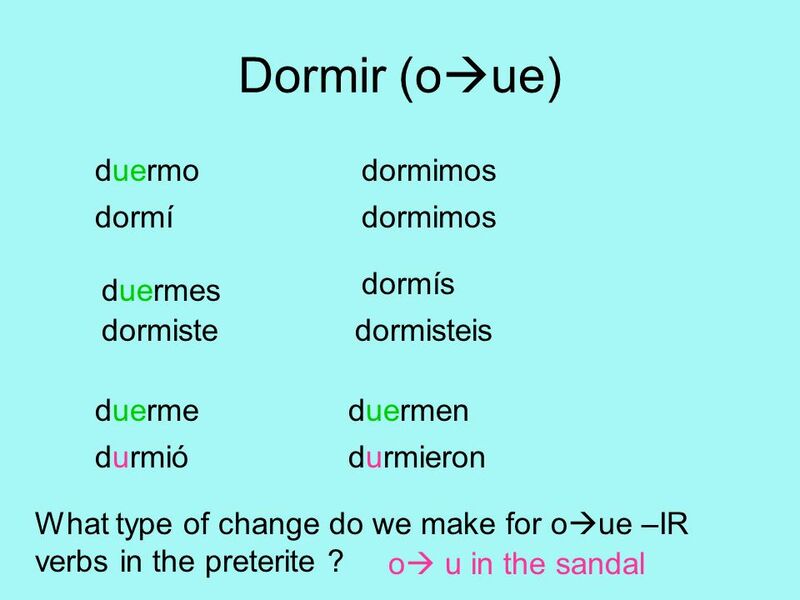 Preterite of irregular verbs pp e -iste -o -imos -isteis -ieron [-eron] to have tener ¿Tuviste…? 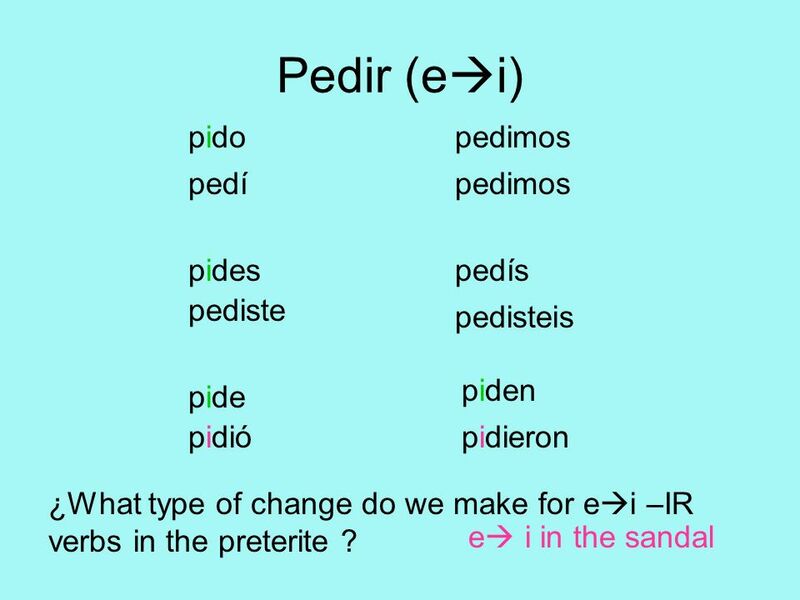 Tuve… to be able poder ¿Pudiste…? Pude… to be. Prefirió el arroz con pollo. 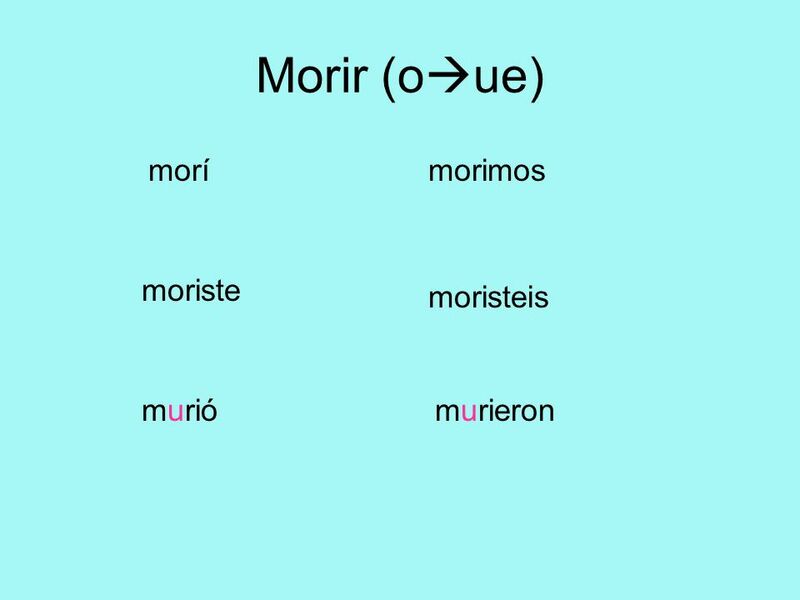 ESPAÑOL UNO CAPÍTULO 11 Más del Pretérito. 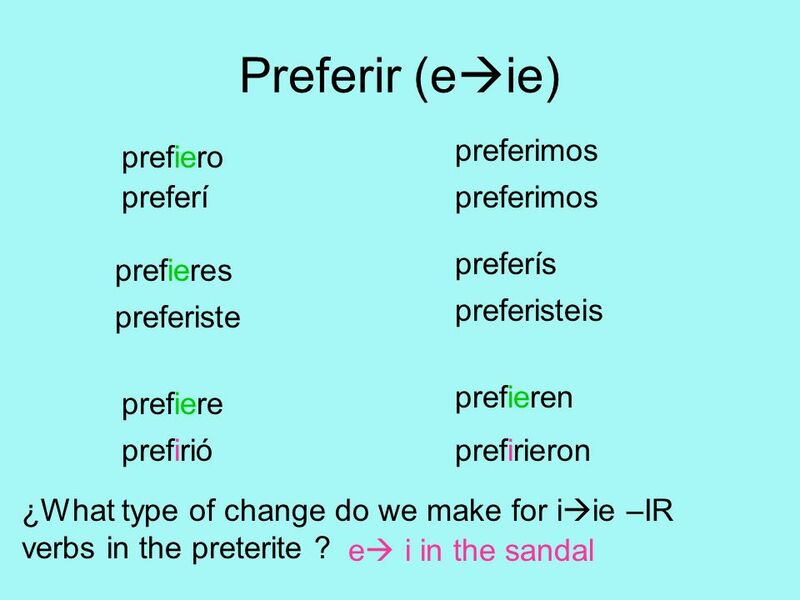 EL PRETÉRITO is a past tense (-ed) I selected the dinner. 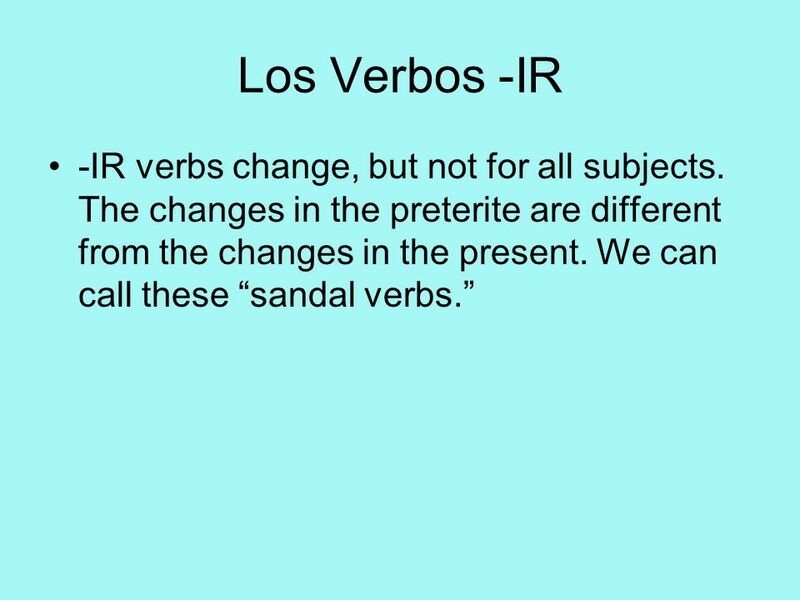 1 El Pretérito de los verbos 2 I talked to my friend. (regular) I bought a shirt. (irregular in ) I paid in cash. 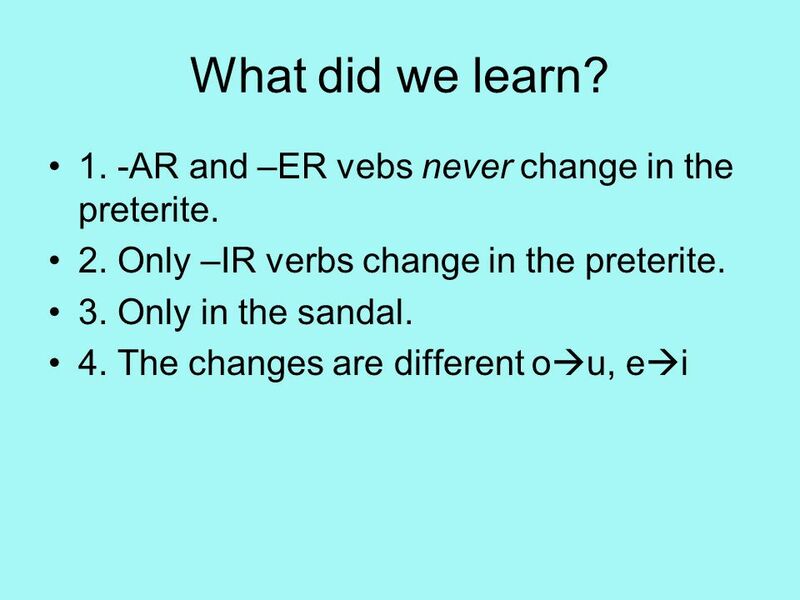 (irregular) El Pretérito: is a past. 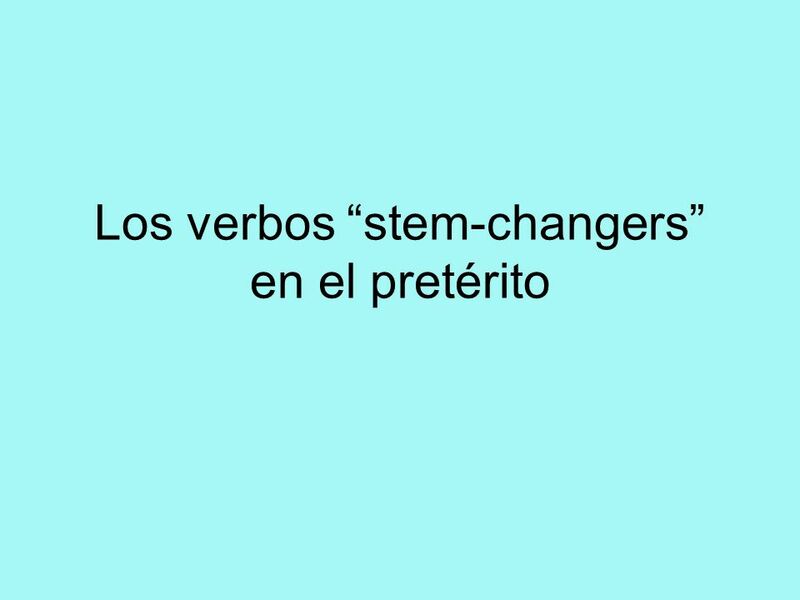 Capítulo 9 gramática -er/-ir preterite -ir stem changers. PRESENT PROGRESSIVE! 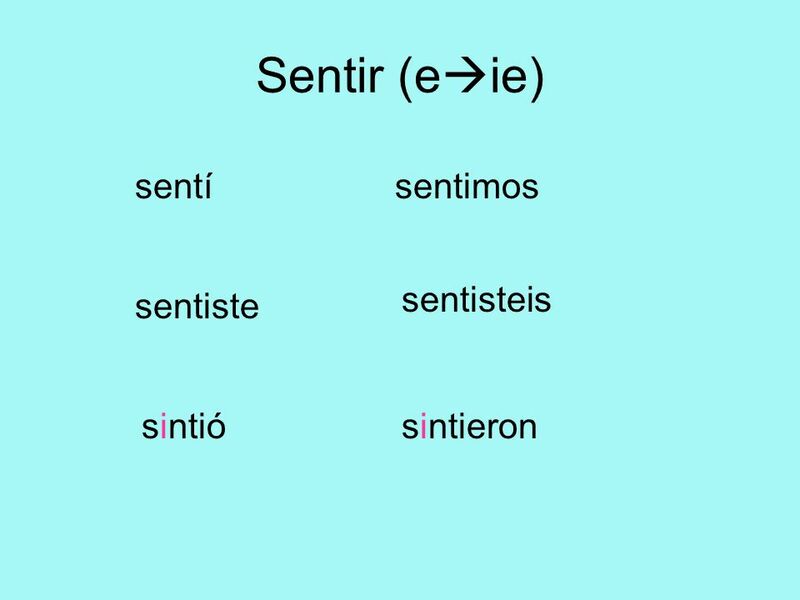 Present Progressive estoyestamos estásestáis estáestán 1. Present Progressive means -ING something (the action is happening as the.